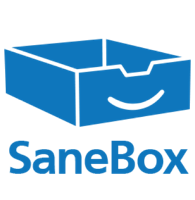 To get a $25 credit towards a SaneBox subscription simply enter your academic email address below and your coupon code will be sent straight to you! Remember when opening your email helped your productivity, not hindered it? SaneBox takes you back to those days. It's like a super-smart assistant who’s been with you for years and knows what’s important to you. SaneBox filters unimportant emails out of the inbox and summarizes them in a daily digest for easy processing. Between intelligent filtering and a suite of productivity features, SaneBox saves the average user 2 to 4 hours each week.